Gigi, pictured above, is a two year old Standard Poodle. Gigi spends a lot of time Downtown and, according to owner Karen Anderson, is very fond of Bob, Downtown’s ultra cool alpha poodle pictured below. Looks like a classic, “Nice Girl falls for Bad Boy” scenario to us. The Yellow Scene’s 10th Anniversary Party resulted in a nice check for the Volunteer Connection. Thank you everyone! Do you want to learn about what Louisville was like back when? Join this delightful Walking Tour of Historic Louisville at 10:30am Saturday, October 2 at the Public Library. This will be the last tour for this year. 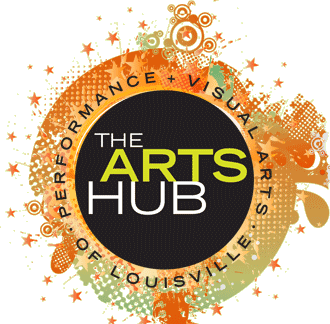 The next episode of the highly successful Arts Hub Events series is happening this Saturday, Oct 2nd. Enjoy an Autumn evening filled with fine art and music. Consider adding the culinary arts to your evening at one of Downtown’s award winning restaurants. For a listing of galleries and such, please visit theartshub.org. Great restaurants? We got ‘em. Fresh, local, organic stores and markets? Why yes, we now have those as well. Here are three places to shop healthy and Shop Louisville. This is just a wonderful place to be on a Saturday morning. There is always some cool music or cooking demo or something happening at the Steinbaugh and the scale and variety of goods for sale is perfect for Downtown. Owner Todd Stevenson selected Louisville as the location for his second store because, “Our friends who live here said that this is the type of community that would appreciate and support this kind of grocery. It took us about two minutes to agree when we visited.” Everything in the In Season Local Market is “traceable” food - they know where it comes from - and is guaranteed ethically grown, raised, and processed. In Season plans to open mid-October at 924 Main Street. Altan Alma reminds us of an organic Bodega; small, down-home, and accessible. Owner Karim Amirfathi will have organic produce year round. They also offer seeds that can be used for sprouting and a variety of other small-grocery items. Altan Alma is open at 611 Front Street and can be reached by phone at 720.984.7875.